Google Inc. is one of the best companies to work for in the world and I believe you and I are dreaming to work at Google offices because of its benefits and entertaining working environment. Life at Google is wonderful and if you don’t believe it, let these photos speak for themselves. 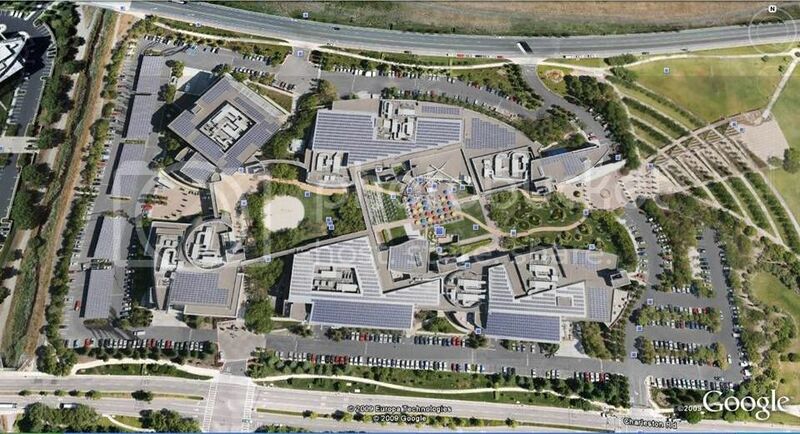 Googleplex – Headquarter of Google. Located at 1600 Amphitheatre Parkway, Mountain View, California, United States. All of our key business operations are represented at the Googleplex, including product, sales, marketing, finance, legal, corporate communications and human resources. This is where we developed our passion and commitment to the company’s mission, core values and corporate culture. Read more about Google Mountain View (Global Headquarters). Take our contribution to the company: big. We’re an AdWords office, meaning we’re part of the team that drives the large majority of Google’s revenue. Read more about Google Ann Arbor. If spending time outdoors is important to you, there aren’t many better places to be than Boulder. Googlers in the Boulder office work on exciting and highly-relevant projects. Read more about Google Boulder. Google Boston is a growing Sales and Engineering office located on the banks of the Charles River in Kendall Square in Cambridge. Engineering teams in our Boston office work on large scale distributed systems, performance tuning, web applications and mobile platforms. Read more about Google Boston/Cambridge. Google Chicago is a key US Sales and Engineering office located in the River North area of downtown Chicago. The Chicago Googlers are a diverse and expanding engineering group as well as a core part of our North American advertising business. Read more about Google Chicago. The Irvine office has established itself as a key center of development for many of Google’s advertising-related initiatives. Google Irvine continues to expand the company’s horizons with efforts that take online advertising beyond the current state of the art. Read more about Google Irvine. Google New York is the place to be for software engineers who want to push the limits on distributed systems, scale and performance. Read more about Google New York. Google Pittsburgh Engineering office offers tremendous opportunities to collaborate with leaders in the fields of Machine Learning, Computer Systems, and Robotics. Read more about Google Pittsburgh. Google Seattle/Kirkland has dozens of projects in areas like ads, search, systems, and web and desktop applications. Read more about Google Seattle/Kirkland. Google’s Sydney office houses Sales & Business Development, Engineering & Network Operations, Marketing and Communications, and more. The Engineering Centre in Sydney is a leading R&D hub at the forefront of Internet technology and development. Read more about Google Sydney. Google Bangalore is where software engineers can push the limits on such challenging issues as distributed systems, scale and performance. Read more about Google Bangalore. Engineering at Google Hyderabad primarily has two focus areas: Software Engineering and Engineering Productivity. Read more about Google Hyderabad. The Seoul office maintains Google’s unique culture with massage chairs, a pool table, a tea room, unicycles and, of course, free catered food daily. Since the launch of google.co.kr in 2000, Seoul engineers have worked on many exciting and important projects. Read more about Google Korea. Google Singapore celebrates a start-up atmosphere that fosters creativity and innovation. You’ll have the opportunity to work in small teams on big projects, from local language support to building applications, from client services to business development. Read more about Google Singapore. We have a variety of outreach programs that aim to strengthen the developer community so they can deliver more useful Internet products for Africans. Read more about Google Africa. The Google Center for Research and Development of Belo Horizonte is an office that displays rapid growth where our engineers to collaborate on innovative projects with colleagues from around the world. Read more about Google Belo Horizonte. Google’s Munich’s office is the place to be for software engineers who want to push the limits on distributed systems, scale and performance. Read more about Google Munich. Read more about Google Dublin. The new office in Wroclaw contributes to Google’s presence in EMEA and more effectively supports our users. We hope it will evolve into a “centre of excellence” for Google users, advertisers, and publishers alike. Read more about Google Poland. The Amsterdam office is responsible for coordinating all Google activities in the Netherlands. We have teams working on Google’s consumer products as well as on the advertising products (Adwords and Adsense) we deliver to businesses and publishers. Read more about Google Netherlands. Read more about Google Sweden. Google Zurich is the largest Google engineering office outside of the US. We call our office the “real mountain view” since you can actually see the Swiss Alps from our office. Read more about Google Zurich. Google London is the second largest engineering office in Europe (after Google Zurich) and is the centre for mobile application development. Read more about Google London. Google’s Montréal and Waterloo offices house teams responsible for innovation, engineering, and delivery across an increasing array of Google products and businesses with worldwide impact. Read more about Google Canada. If I was to work at any Google office around the world, my first choice would be Google Zurich in Switzerland. Which location would you pick? Why? Tell us in your comment.